16-year-old Grace Bush is now among the youngest ever graduates of Florida Atlantic University. Grace received her bachelor's degree last week and will receive her high school diploma on May 9. 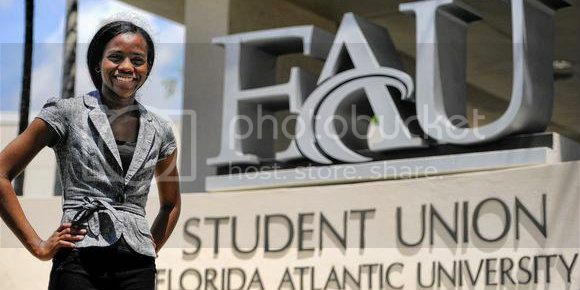 She will graduate from Florida Atlantic University high school. The university's dual enrollment program allows high performing high school students to earn credit for the same courses towards their college degree and save thousands of dollars in tuition at the same time. Grace earned a four year degree in three years by taking Summer classes. Grace is one of 9 children, and her two older sisters pursued the same track though they didn't finish quite as quickly as she did. This fall she will pursue a master's degree, and then she plans to attend law school. “I would eventually like to become chief justice of the United States,” she explained.